DGM & Panegyric are proud to present the first full concert release by the current line-up of King Crimson. 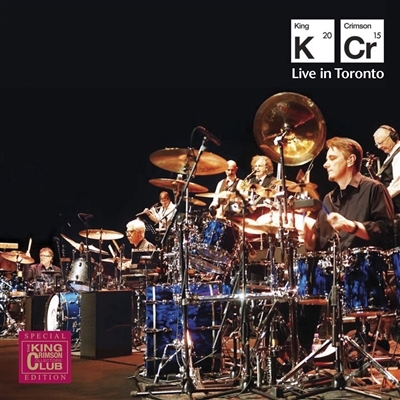 This Official Collectors’ Bootleg captures King Crimson on a single night in the middle of the band’s Canadian tour in November 2015. With the exception of one small edit following an announcement and before the band take to the stage, the running time of this concert is exactly as it was heard in the hall by those fortunate enough to have been there. Even by the high standards set by King Crimson’s current line-up, this concert was agreed by all involved to have that extra special ingredient, making it the perfect choice when seeking an official release to counter the poorly recorded bootlegs that have begun to circulate.